Aylen (7), Joe (6), Senia (5) and Brooke (4) created the questions and I edited for clarity. 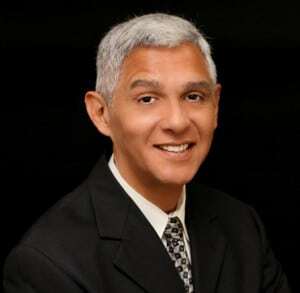 Below is the interview with Robert Gallegos, Candidate for Houston City Council District I! Houston City Council has of five at large City Council Members that are elected by all the voters in the City of Houston. The City is divided into eleven City Council Districts elected by the voters in a specific district. City Council monitors the performance of city agencies, confirms the Mayor’s appointments, and passes ordinance which are the laws and policies for the City of Houston. City Council also passes the City’s budget. I visit with voters in District I by block walking and attending events in the District. I also send mail to the voters asking them to vote for me. I also make telephone calls or members of my campaign staff make telephone calls asking people to vote for me. I have signs with my name on them in the yards of people who are supporting me and in the businesses that are supporting me. I love Houston. I was born and raised in District I. I like to work to improve my neighborhood. I am very active in my Neighborhood Civic Association and the Super Neighborhood Alliance. I like to play sports, go to the gym, attend hockey games, football games, and basketball games. I enjoy the theater especially the events in Hermann Park when Theater Under the Stars does events or the Houston Symphony is doing one of their performance. I attend my church and am active in several local clubs and organizations that work to improve the neighborhood. My favorite thing about Houston is its diversity. Houston has residents from every county in the world that makes Houston their home. Houston’s diversity is its strength because we learn from all of the different cultures that are here. DIY Hummingbird Costume! Great Kids Halloween Costume Made from Boas, Feathers, Pipe Cleaners and Glue!